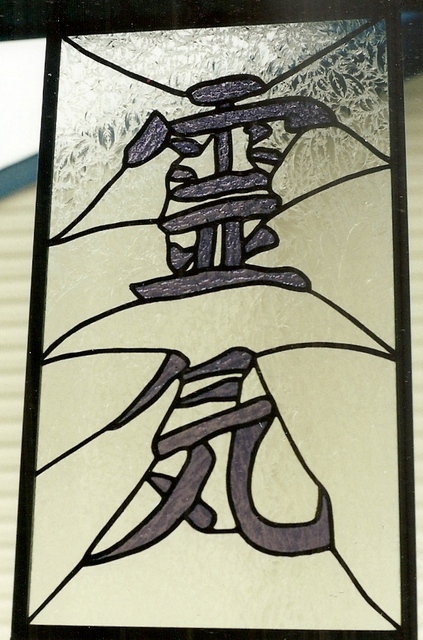 About 13 years ago we made this Universal Energy Panel for a Reiki Master in Southern Alberta. The panel measured 20 inches high x 12 inches wide. We used a granite light purple Kokomo (no longer in production) along with Glue Chip surrounding the symbol, complete with a 1/2 Zinc Came Frame. Hi everyone we just obtained this very unique and beautiful piece of Bullseye Glass. 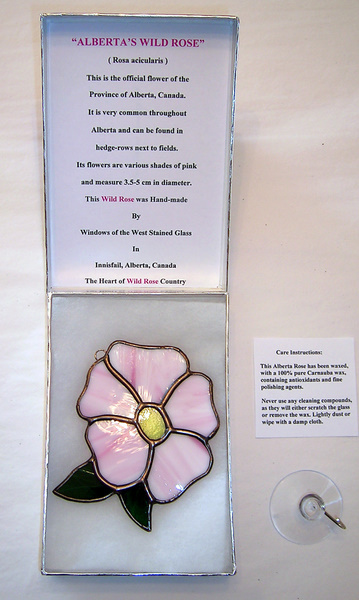 Not sure when and or how we will end up using it but at some point in time a client will end up with it in a wonderful commission or a truly unique sun catcher. 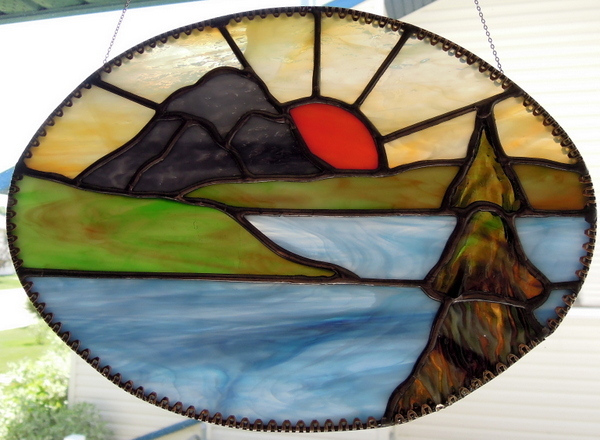 This is why we enjoy stained glass so much as we occasionally find awesome pieces of glass. 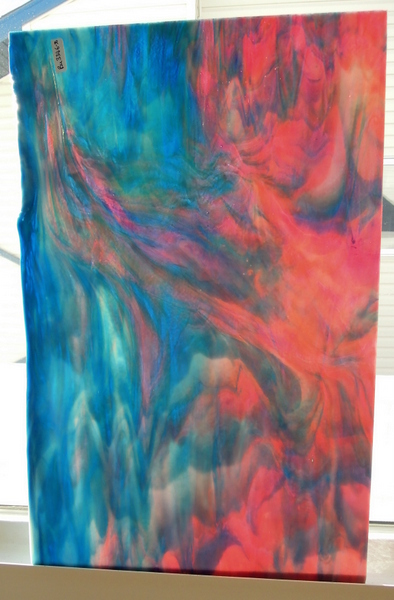 Enjoy letting your fancies run wild as to how this could be used in a stained glass creation. “PERIWINKLE” Faerie “So this is the life, the love and fun, The Faeries of the Field joyful day done! We used a Green/Clear Spectrum Baroque glass for her wings.